PAINKILLER screens this Sunday at MystiCon, a sold-out convention in Roanake, VA. 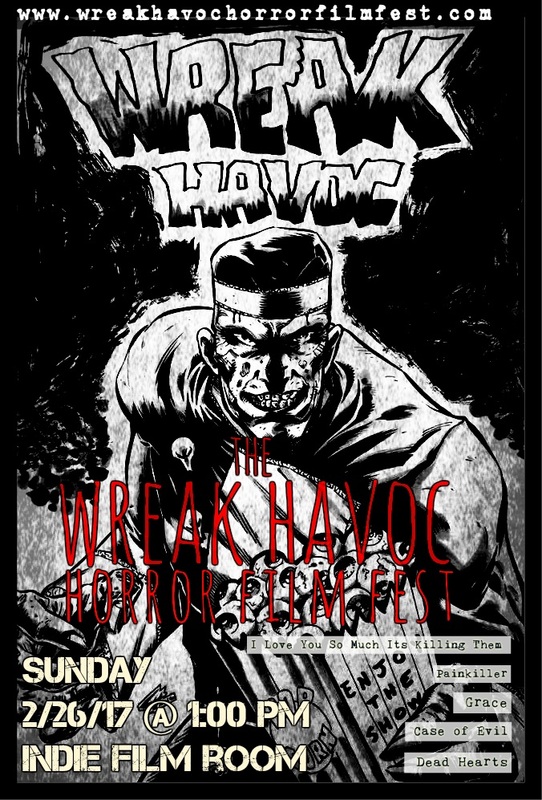 Thanks to the guys at the Wreak Havok Horror Film Festival for including us. They had to put together a program of the best films shown over the last two years at their festival, and PAINKILLER was one of the five they selected. That’s quite an honor. PAINKILLER has received two nominations from the HorrorHaus Film Festival: best supporting actress (Kelly Rae LeGault) and best practical effects (Daniel J. Mazikowski).